February is heart health month. If you want to keep your Valentine around, serve this protein packed Three-Bean Vegetarian Chili. 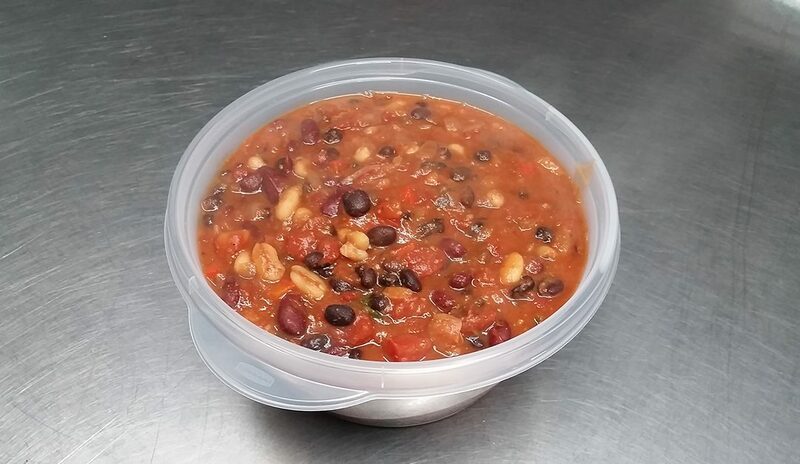 It’s hearty and delicious and beans are a great heart healthy ingredient because they are low in fat and high in fiber and protein. Heat oil in large heavy pot over medium-high. Cook salsa, cumin, chili powder, oregano, and garlic powder, stirring, until fragrant and slightly reduced, 1–2 minutes. Add black, pinto, and kidney beans, tomatoes, broth, 3/4 tsp. salt, and 1/4 tsp. pepper. Bring to a simmer, stirring occasionally. Reduce heat to medium and continue to simmer, stirring occasionally, until flavors are blended and chili is thickened, about 30 minutes. Taste and season with salt and pepper, if needed. Serve with a dollop of sour cream, if desired.